Welcome to Our Stellar Lineup of Core Instructors! We’re beaming proud to showcase this fine array of herbal teachers, writers and gardeners. Our core instructors are the primary teachers in the Herbal Immersion Program. See our list of contributors below for all the instructors involved in the Herbal Immersion program. Asia Suler and Juliet Blankespoor are the primary instructors for the Medicine Making Course. 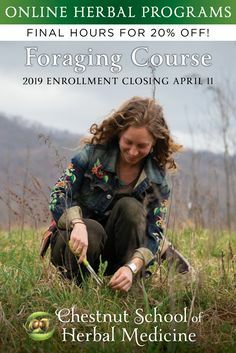 Meet our Foraging Course instructors here. Juliet Blankespoor started the Chestnut School of Herbal Medicine in 2007, after deciding to become a professional plant-human matchmaker. She lives with her partner Tom outside of Asheville, NC, in a wee handbuilt home where they nurture a medicinal herb garden and a delightfully hilarious daughter. Juliet has been sharing her passion for plants for over twenty-five years through teaching herbal medicine and botany. Despite a seemingly single-minded obsession for medicinal plants, she’s branched out in the last few years, exploring new territory and interests—namely photographing, videoing, and writing about: medicinal plants. Juliet is an unabashed botanical entrepreneur –her earliest project during her collegiate years included a get-rich-quick-scheme involving papaya trees. After graduating from University of Florida with a degree in botany, Juliet founded and formulated a tincture line, Green Faith Herbals. She spent her twenties growing and wildcrafting medicine for her tincture business. During this time, Juliet continued her studies by attending extensive herbal programs at the Northeast School of Botanical Medicine, the California School of Herbal Studies and the Southwest School of Botanical Medicine. Her teachers are 7Song, James Snow and Michael Moore. After many years of teaching intensive, all-outdoor herbal programs, Juliet has decided she is a raging introvert and her teachings are best suited to the virtual sphere. 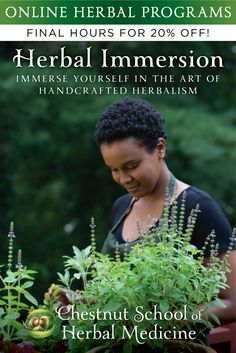 She is currently writing her first book – Cultivating Medicinal Herbs; A Guidebook to Growing Healing Plants in the Home Garden. Juliet has spent the last few years videoing herbs, and their admirers and cultivators, for the Herbal Immersion Program. She is delighted to continue to teach and connect with herb lovers through the ethers. Please visit Blog Castanea to enjoy her herbal articles and botanical photography. 7Song is an herbalist, teacher and naturalist who lives in Ithaca, NY. He is the director and main instructor at the Northeast School of Botanical Medicine that he started in 1992. He is a founding member, Director of holistic medicine and an herbal practitioner at the Ithaca Free Clinic. This is an integrative clinic with herbalists, doctors, nurses, acupuncturists and other health care workers all offering their services for free. The clinic opened its doors in 2006. Some of his other focuses in herbal medicine include clinical work, first aid, wildcrafting and botany. He also spends a lot of time taking photographs of things that run, crawl, fly or photosynthesize. 7Song teaches Materia Medica for the Herbal Immersion Program. Joe Hollis received a B.A. from the University of NC at Chapel Hill in 1965, and then spent 3 years in Borneo with the Peace Corps. In 1972 he founded Mountain Gardens as a botanical garden of economic plants. As an original member of the “Newman consortium”, he is one of the pioneers of Chinese medicinal herb cultivation in the U.S., and continues extensive annual trials of seeds obtained by exchange with a network of botanical gardens. He also works closely with United Plant Savers, NC Natural Products Association (founding board member) and other groups dedicated to preserving native medicinals through the development of cultivation techniques. Mountain Gardens now includes the largest collection of medicinal herbs in the eastern U.S., and is a major source for herb seeds and plants, both retail and wholesale. Facilities also include an extensive research library, and pharmacy dispensing both Chinese and western herbs and producing tinctures, extracts, salves and other preparations. Since 1980, Mr. Hollis has lectured, consulted and taught workshops in medicinal herb identification, cultivation and processing at Mountain Gardens and at various colleges and conferences in North Carolina, he also teaches 5-8 apprentices annually. The gardens are regularly toured by university and herb school classes. Mountain Gardens sells its seeds, plants and preparations at herb fairs and medicinal herb conferences, and through the Mountain Gardens website. Joe teaches Cultivation Techniques for the Herbal Immersion Program. Asia Suler is a writer, teacher, herbalist and energy worker who lives in the Blue Ridge Mountains of Western NC. 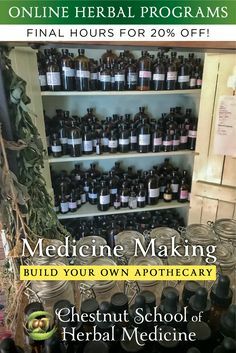 She is the creator and concoctress behind One Willow Apothecaries, a small Appalachian-grown business that offers handmade and heartfelt medicine. 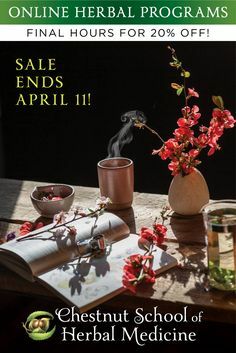 She is also the muse behind Woolgathering & Wildcrafting, a blog detailing the potent magic of good medicine: plants and dreams, primitive skills and developing a deep connection with the land. Asia began her journey into healing and plant-based medicine after early years of chronic pain. The experience— which pushed her into a deep search for healing, both within and without— led her to the altar of the green world, where she fell irrevocably in love with plants. She began her formal study of herbs with Juliet Blankespoor and the Chestnut School of Herbal Medicine and has continued to study, seek, listen and learn ever since. Asia’s work is a unique combination of western and energetic herbalism, stone medicine, earth-centered shamanism and intuitive healing. She holds a B.A in English, Anthropology and Native American studies from Vassar College and a Reiki Master degree. Asia teaches at schools and gatherings across the country and is blessed to work intimately with people and plants, spirit and stones. 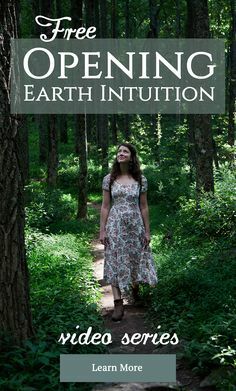 She is currently in the depths of working on her forthcoming book about intuition and earth-based living. Asia teaches Energetic Plant Medicine, Flower Essences, and Medicine Making for the Herbal Immersion Program and Medicine Making Course. Lorna Mauney-Brodek is a traveling herbalist, medicine maker, wildcrafter and teacher dedicated to promoting diversity, environmental responsibility, and social justice through herbalism. Growing up “americana,” her health practices reflect the abundantly diverse influences of these lands to blend western medical herbalism, traditional Chinese five phase, Ayurveda, and southern folk. Early barefoot adventures in the Appalachian foothills and global wanderings with tent-packing parents led to more formal trainings in plant medicine. She completed an herbal residency with Michael Moore at the Southwest School of Botanical Medicine and her clinical internship at the Blue Ridge School for Herbal Studies. Lorna is the founder and director of the Herbalista Health Network, a web of clinical services, health education, and service opportunities that provide earth-based care to underserved communities. Lorna teaches around the country and abroad, spreading the Herb Bus method and celebrating our capacity to build community through herbalism. Lorna teaches Materia Medica in the Herbal Immersion Program, and Aromatherapy and Hydrotherapy in the Herbal Immersion Program and Medicine Making Course. Becky Beyer started her crazy love affair with all things homesteading while growing up on a farm in central New Jersey. After getting her BS in Plant and Soil Science from the University of Vermont, she moved to Asheville, North Carolina to explore all the amazing work being done in this beautiful bioregion. She teaches spoon carving, all aspects of organic farming, is a practitioner of natural horsemanship, a burgeoning illustrator and musician. Want to know a crazy historical fact about a plant? Ask her, she just might know. You can get Becky’s take on folk magic, rewilding and local plantlore by visiting her blog Blood and Spicebush. Becky teaches Soil Science, Organic Pest Management, and Composting for the Herbal Immersion Program. Chuck Marsh was a pioneer in ecological landscape design and consulting practices, and founder of Useful Plants Nursery, an edible landscape plant nursery located south of Black Mountain, NC. Chuck had over thirty five years of experience working with the plants, soil, water, climate and people of North Carolina to design and install place appropriate, productive, and sustainable home and commercial landscapes. His career spanned the wholesale and retail nursery business as well as landscape gardening and landscape contracting businesses. Through his company Living Systems Design, he taught people about edible landscaping, biological economics, and Permaculture Design, which he did locally, nationally and internationally; growing edible and medicinal plants for present and future abundance; and consulting with homeowners and landowners to design and create beautiful, productive, resource conserving landscapes that celebrate and deepen our connection to the natural world. Sadly, Chuck passed away in 2017. Chuck’s wisdom is shared in his Permaculture Principles lesson for the Herbal Immersion Program. Meghan’s relationship with the Chestnut School has been abloom since 2009! She grew some of her first herbal roots as an apprentice in Juliet’s medicinal herb nursery and later became a much-enamored student at the school. The plants spoke to her most clearly of women’s health and she attended the Matrona School of Quantum Midwifery in 2012, after which she herself became pregnant! Her daily joy is in her herb gardens, harvesting forays, new mama-hood, writing, and eating rainbowed handfuls of flowers. If you ever want to make her day come April, violets are her uncontested favorite! Meghan is one of the primary instructors of the Herbal Immersion through her written lessons, and she is also the prime pollinator of the Chestnut School’s social media community – sharing herbal and wild foods wisdom from the flowery heart of the school to an ever-wider field of friends, gardeners, healers and plant lovers. Our Herbal Immersion Program features regional profiles — a tour of the optimal herbs suited for specific climates –written by seasoned herb gardeners from around the country. The course also has a module on herbal livelihoods, which showcases the lives and businesses of many of our core instructors and contributors. Most of the contributors shared their herbal insights as a writer for our regional profiles or as a featured herbalist in our herbal livelihood module. Jade is the director and founder of the The School for Aromatic Studies. Her school is internationally respected for providing balanced, progressive and inspiring education that is cultivating a new generation of aromatherapists. She has been sharing her love of the aromatic world for over twenty-five years through her numerous online programs as well as in person classes throughout the country. Jade is the author of the textbook Aromatherapy for Bodyworkers. She served for many years as the president of the National Association for Holistic Aromatherapy Association. Jade enjoys gardening, spending time with her son, reading and researching, making her own medicine from both herbs and essential oils, and just being outside in the natural world. Dr. James Duke was one of our most treasured herbalists here in America. Sadly, he passed away in 2017. He authored over 30 books on herbal medicine, including the long-time bestseller, The Green Pharmacy. With a Ph.D. in both Ethnobotany and Botany, Dr. Duke’s knowledge is virtually unmatched. He worked as a botanist for the USDA for nearly 30 years, where he developed the Phytochemical and Ethnobotanical Databases, which remains one of the most frequently consulted areas of the USDA website. Best-selling author, photographer, consultant, and herbalist, Steven Foster has 40 years of comprehensive experience in the herbal field. He started his career at the Sabbathday Lake, Maine, Shaker’s Herb Department—America’s oldest herb business dating to 1799. As an international consultant in medicinal and aromatic plant technical and marketing issues, Foster has served on projects in Argentina, Armenia, Belize, China, Costa Rica, Egypt, England, Germany, Guatemala, Japan, Montenegro, the Netherlands, Peru, the Republic of Georgia, Switzerland, Trinidad and Tobago, Vietnam and elsewhere. 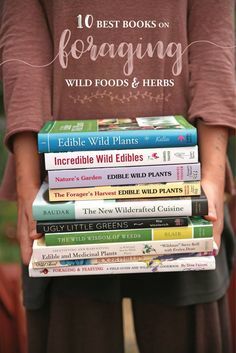 Deb Soule is an herbalist, biodynamic gardener, teacher and author of A Woman’s Handbook of Healing Herbs and How To Move Like A Gardener: Planting and Preparing Medicines from Plants. Raised in a small town in western Maine, Deb began organic gardening and studying the medicinal uses of herbs at age 16. Her faith in the healing qualities of plants and her love of gardening led Deb to found Avena Botanicals Herbal Apothecary in 1985. Five years earlier while in college, Deb lived in Nepal near three Tibetan monasteries and was deeply moved by the Tibetan people’s commitment to easing physical ailments and mental and emotional upsets with plants, prayer and other spiritual practices. 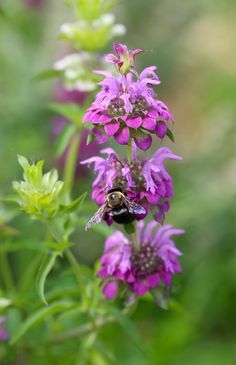 Today Deb tends Avena Botanicals’ three acres of medicinal herbs, works year round with Avena’s eleven staff, gives herb walks and classes, studies and photographs pollinators and plants and consults with clients and health care practitioners. In 2011 Avena Botanicals became the first farm in Maine to become biodynamically certified by Demeter. Deb’s deep love and devotion to medicinal plants and pollinators is expressed through her teachings and her latest book, How To Move Like A Gardener. Richo Cech started his professional work as an archaeologist and ethnobotanist in East Africa. Upon his return to the United States in 1978, he began cultivating and saving the seed of medicinal plants. Over the years, his gardens have become the basis for Strictly Medicinal Seeds, growers of organic, open pollinated and GMO-free seed and plants of medicinal herbs, culinary herbs, succulents, trees and garden vegetables. Richo and his family produce a popular, bi-yearly, hand-illustrated seed catalog that provides access to this collection of common, quirky, eclectic, and bizarre seeds and plants. Richo is author of “Making Plant Medicine” (2000), “Growing At-Risk Medicinal Herbs” (2002), and “The Medicinal Herb Grower” (2009). Richo has botanized in China and Africa, resulting in the introduction of many new and exciting medicinal herb species to gardeners throughout the world. Check his daily postings on Facebook, or simply visit the Strictly Medicinal website. Kathi Keville, an internationally known herbalist, aromatherapist, and gardener has conducted medicinal herbs and aromatherapy seminars in North America and Europe for over 40 years. Her Green Medicine Herb School year-round program offers medicine-making, wild herb walks, herb garden tours, aromatherapy seminars, and an herbal apprenticeship. She is the author of 15 herb, aromatherapy, and gardening books and has been published in seven languages. Her latest book is The Fragrance Garden (2015). She is Director of the American Herb Association of the AHA Quarterly Newsletter, a publication directed at professional herbalists. Kathi co-managed a commercial, organic herb farm for 15 years and now grows 450 medicinal species at her Oak Valley Herb Farm in Northern California’s Sierra foothills. Her web business, Oak Valley Herb Farm, offers her books and herbal and aromatherapy products. Kathi is also product consultant to the aromatherapy and herb industries. Kathi hosts the Garden Forum on KVMR radio, and appears as co-host on Veria TV. She belongs to United Plant Savers, was a founding member of the American Herbalists Guild, and received honors from the National Association of Holistic Aromatherapy, and the American Aromatherapy Association. Emily Ruff, Executive Director of the Florida School of Holistic Living 501c3, is a community herbalist who has practiced the art and science of plant healing for over a decade. The roots of her study and background in botanicals were cultivated during her childhood, wandering the wilderness of Central Florida with her father, a botanist and professor, and digging in the soil with her grandfather, an urban farmer. Her journey into herbalism was sparked in adolescence, when she traveled to Guatemala and studied with local healers. Returning to the United States, she completed apprenticeships with beloved Western herbalists including Rosemary Gladstar and George D’Arcy. Emily continues her annual travels to study indigenous healing traditions throughout Central and South America to this day, gathering knowledge of plant medicine from the tropics to bring back to her home state of Florida, where her efforts focus on restoring the bioregion’s melting-pot-apothecary into modern practice. She currently lectures throughout Florida and the United States at conferences and universities, and offers small-batch medicinal preparations through her product line, Orenda Herbal. Under her direction, the Florida School of Holistic Living runs a professional herbal training program, a community clinic, a teaching garden, a seed library, educational outreach in prisons, and the annual Florida Herbal Conference. Today, Emily stewards an herbal urban homestead in Central Florida with her husband, where she lives her joy immersed in the healing environment of her backyard garden. Through a daily practice of meditation and digging her fingers in the dirt, the plants continue to be her greatest teachers. Amy Hamilton is an herbalist and herb farmer who loves to share her passion for medicinal plants with others. From Ayurvedic, traditional Chinese, and western traditions, she blends her science background (B.S. from UNCA in Environmental Studies with a concentration in ethnobotany) with a deep appreciation of the spiritual underpinnings in herbal medicine. For 7 years, Amy worked for Dr. Jeanine Davis at NCSU on the Medicinal Herbs for Commerce project, assisting farmers transition into medicinal herb crops, research on medicinal herbs, and served as the herb marketing specialist in NC. Prior to this Amy worked for Gaia Herbs, Inc. in all manners of production and processing as well as sales and marketing. Her varied experiences with medicinal herbs created a deep desire to become an herb farmer and help other farmers make a living growing herbs. She is the mother of a lively 4 year old boy who helps her farm 5 acres in Leicester, NC as Appalachian Seeds Farm & Nursery. Greg Hottinger, MPH, RD, has a master’s in nutrition, practices as a wellness coach, and is co-owner of NOVO Wellness, a health consulting company. He is a teaching faculty member of Wellcoaches, Inc. and helps hospitals and weight management programs use coaching skills to better support the lifestyle change process. Greg consults with NBC’s The Biggest Loser website and is the author of the Best Natural Foods on the Market Today (Huckleberry Mountain Press, 2004) and co-author of Coach Yourself Thin (Rodale, 2012). He co-authored the article “3 Ways to Help Your Overweight Clients Get on Track” (IDEA Fitness Journal, May 2012) and teaches Becoming Bendy, a 37 day program on Mindful Eating & Moving. Greg began his career 15 years ago at the Duke Diet & Fitness Center, worked with the Duke Center for Integrative Medicine, and continues to remain focused on helping his clients achieve long-term weight loss and living a healthier lifestyle. Greg is a member of the Academy of Nutrition and Dietetics. He currently is developing a curriculum for helping parents navigate the challenges of modern day living and raise healthy children. He is married, lives in Colorado, and has four children. Danielle finds her inspiration and joy in the wild places. Her love of plants and people and her own struggles with health led her to become an herbalist, holistic health counselor and birth doula. A graduate of the Chestnut School of Herbal Medicine, the Blue Ridge School of Herbal Medicine, and the Institute for Integrative Nutrition, Danielle has been learning, teaching and helping people transform their health for 15 years. She believes in each person’s native capacity for healing and is passionate about walking alongside her clients to a place of wellness. Incorporating diet, lifestyle choice, herbs, counsel and constitutional balance, she works with folks to create a solid foundation for lasting vitality. She lives with her husband, two wild boys and a yard full of chickens in the mountains of North Carolina. She can be reached for teaching and consultations at wildmountainherbs@gmail.com. Tom Elmore is co-owner and operator of Thatchmore Farm, an organic family farm in Leicester NC. Thatchmore Farm is a ten-acre farm growing certified organic produce, (about 30 varieties with early season tomatoes and greens being a specialty) as well as ornamentals, mushrooms and Christmas trees. Tom has run successful apprentice programs on the farm for decades. He has grown certified organic fruits and vegetables for 25 years and serves on the Boards of the NC Greenhouse Vegetable Growers Association and the Organic Growers School. Larken Bunce is a clinical herbalist, educator, writer, gardener and photographer living and working in the Green Mountains of Vermont. She is founding co-director of Vermont Center for Integrative Herbalism (VCIH), which runs a full-time sliding-scale community clinic, and provides intensive clinical herbalist training opportunities and community education. For seven years, she served as core faculty at Goddard College in the Health Arts and Sciences program, and remains deeply interested in education as necessarily life-long and transformative. In addition to serving as core faculty at VCIH, she continues to guest lecture at Goddard and travels nationally as a conference presenter and guest teacher for herbal programs. Larken’s practice and teaching draw equally from science and spirit, novel practice and tradition, clinic and garden, reflecting her diverse experiences over 20 years in the field. She weaves together Western herbal medicine, classical Chinese medicine, whole-food nutrition, mind-body and narrative medicines, and social justice advocacy. She holds a Master of Science in Herbal Medicine from Maryland University of Integrative Health (previously Tai Sophia Institute), as well as certificates in Zen Shiatsu, Swedish/Esalen Massage, and Mind-Body Skills, and is currently completing Somatic Experiencing practitioner training. In all she does, Larken hopes to increase awareness of the capacity of not only medicinal plants, but of all nature and wildness, to sustain and heal. 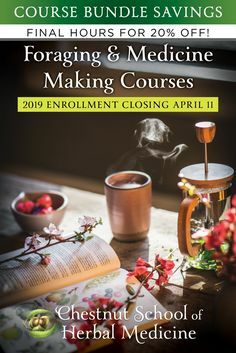 Larken is passionate about clinical mentorship, bridging traditional energetics with biomedical sciences, and restoring Nature to culture through herbal medicine. Monica Rude left the cold, cloudy winter of Upstate New York in 1988 and moved to the desert. Amazed by the sunshine, glorious profusion of wild-flowers, the special light, the rocks, the clouds, the dirt, the plants, the energy…she fell in love and became… a Desert Woman. Leaving behind a fulfilling career as a professional nurse, she became involved in organic gardening and was happy to be outside with the plants. She moved to New Mexico in 1990 where she worked at Seeds of Change organic seed farm for several years. She studied herbs with well-known southwest herbalist and author, Michael Moore, then became an herb grower, started a medicinal plant nursery business and herbal product line. Over the years,she has tried to supply the world with bulk herbs, cayenne and Zesto Pesto. She has nurtured a few dozen apprentices and taught at the New Mexico College of Natural Healing in Silver City. Her teaching focus is on herb cultivation for herbalists and backyard gardeners, strategies for gardening in the desert and growing gardens for stress relief. New topics under development include container gardening for those with physical limitations and growing and using herbs for emerging viral illnesses. She is a teacher and writer on herbs, food and gardening and a staunch advocate for empowerment through self-reliance. Her advice: grow it yourself, make it yourself, cook from scratch, forget the lettuce, eat the weeds. She organizes herbalist gatherings, the local farmers market home and garden expo and promotes local community radio as an educational tool. Anne Gaines grew up in southwest Virginia where, in her early years, her family had a large beef farm. When the family quit farming due to economics, she learned, with encouragement from her parents, how to grow a vegetable garden. After attending Brevard College for 2 years, she started learning about organic agriculture by working on different farms in WNC and western Massachusetts. She and her husband own Gaining Ground Farm in Leicester, NC. Their farm is home to a herd of Red Devon cattle, a Jersey milk cow, a flock of chickens, and several acres of vegetable-growing bottomland. They love the farming lifestyle and are truly devoted to producing good food.